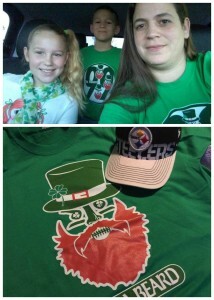 Far left is Jackie Ortiz and family looking very Irish! 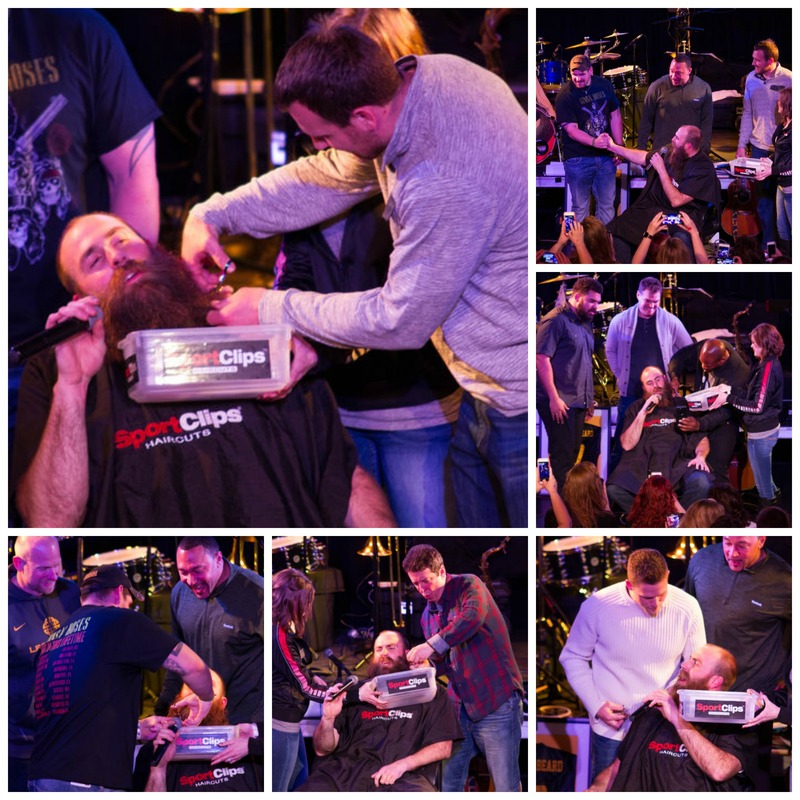 Top right is Doug Deimler with a GREAT beard. 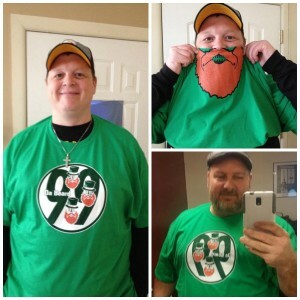 Bottom right we have Steve McRae: My husband was so excited to get the shirt in the mail! We will miss you Brett!! – Wendy and Mack, Steeler faithful trapped in Ravens country. 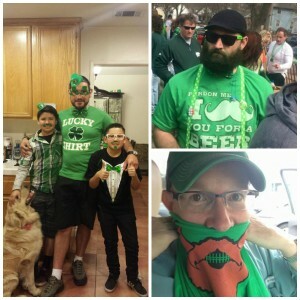 Far left (and top right) is Jamey Buster showing expertly how the new Da Beard Gear St. Paddy shirt works-instant beard! From Jamey: Love my new shirt, family & I will NEVER 4get u, we’ll ALWAYS love and miss u. Bottom left is Robert Heinrich with an awesome St. Paddy selfie! 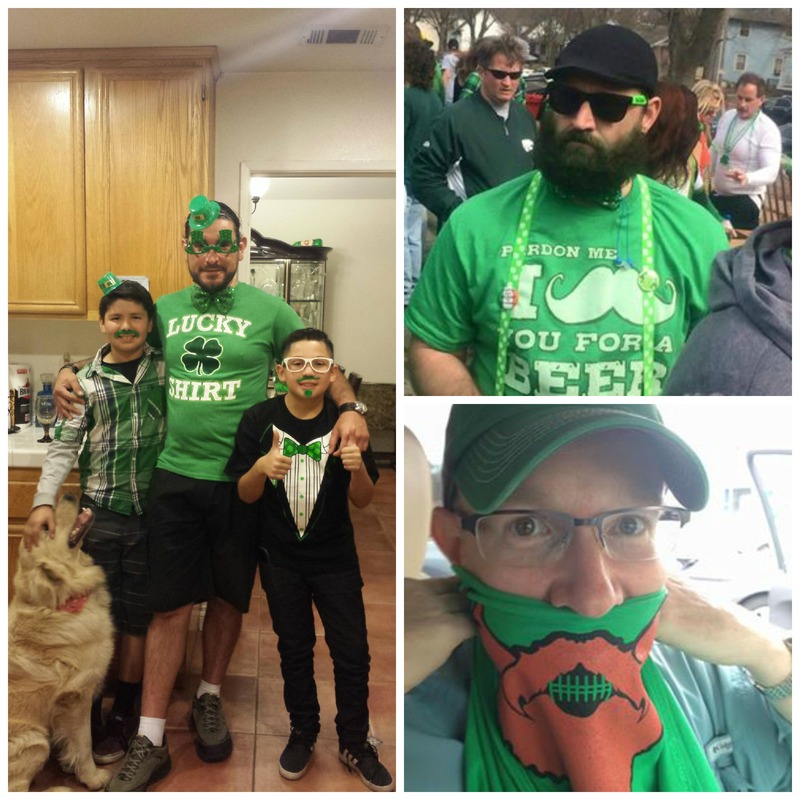 Top is Jamie Wilson and her adorable kiddos sporting Da Beard Gear and a great scarf! Bottom is from Joseph Mescia who will be showing his Da Beard and Steelers pride! And…how could we forget THE GOAT? 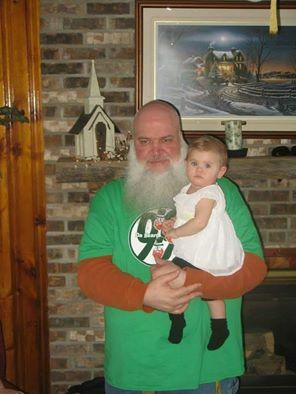 Jeff Hollamby (AKA Goat) is shown with his adorable granddaughter. The GOAT has been one of Brett’s and Da Beard Gear’s biggest supporters. He owns EVERY item available through Da Beard Gear. Thanks to all who sent great photos!